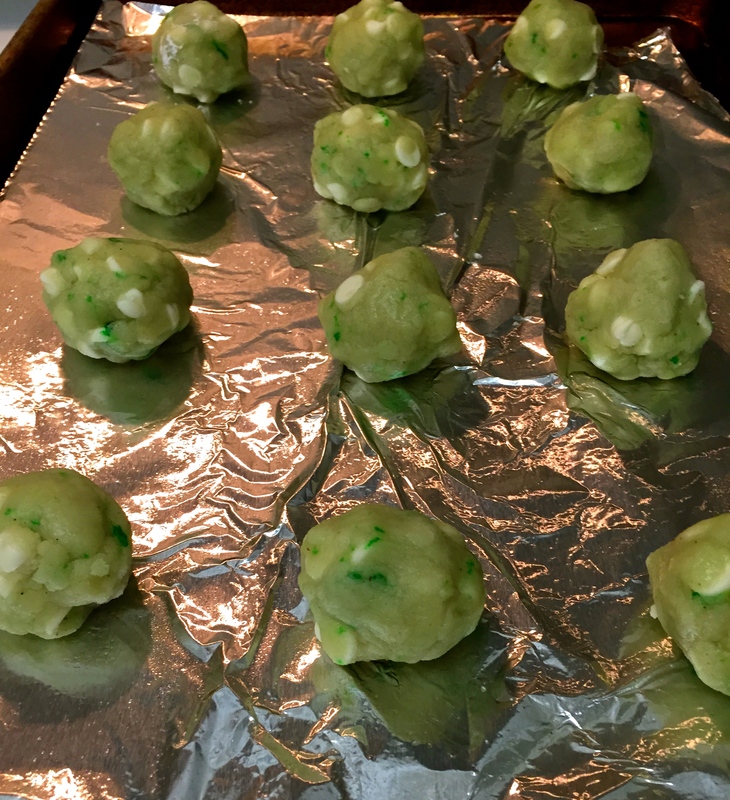 This St. Patrick’s Day, slide the corned beef & cabbage aside and dig into these Dairy-Free White Chocolate Chip Cookies, with a hint of green to keep things festive. 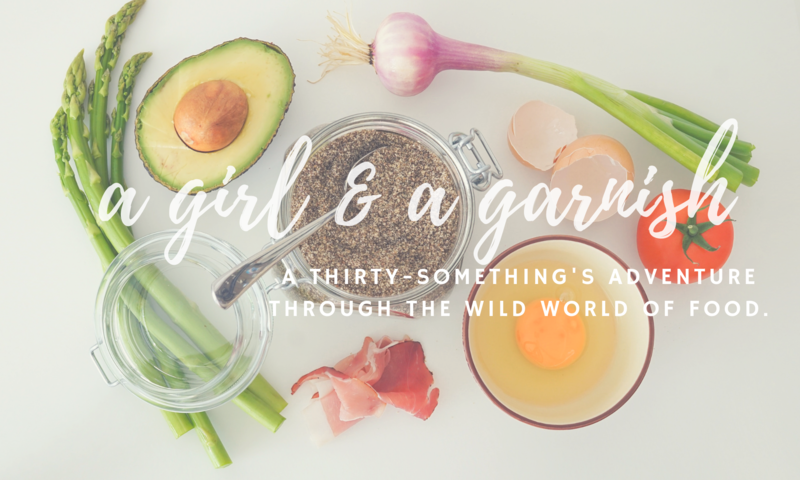 Although I don’t have a strictly dairy-free diet, I desperately wanted cookies but didn’t have butter or eggs at home – so dairy-free cookies it is! 1. Preheat oven to 350 degrees and spray a baking sheet with non-stick spray. 2. 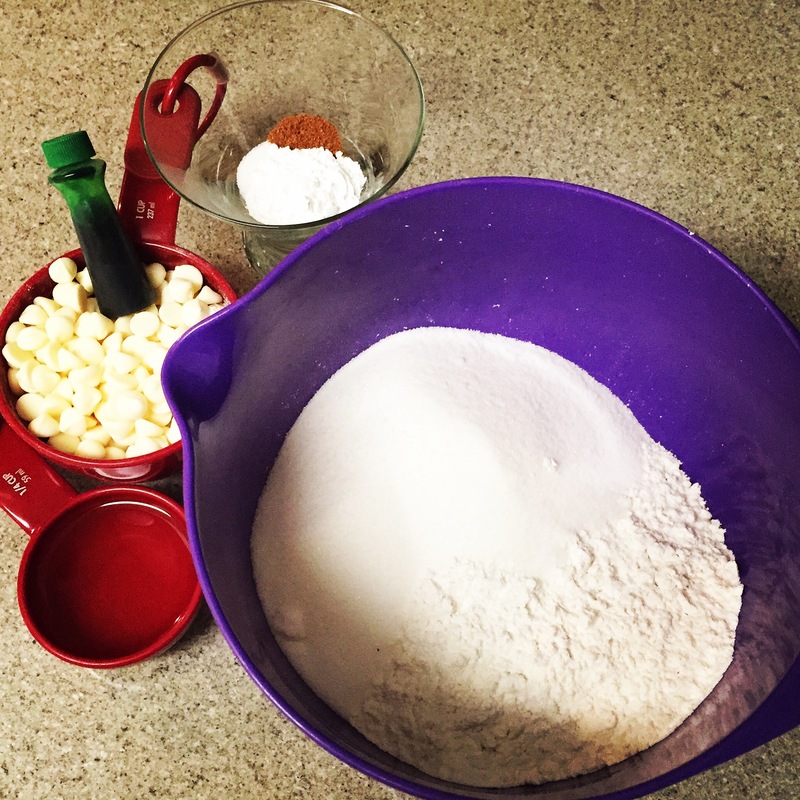 In a medium size bowl, whisk all dry ingredients together. Add white chocolate chips and stir until well combined. 3. 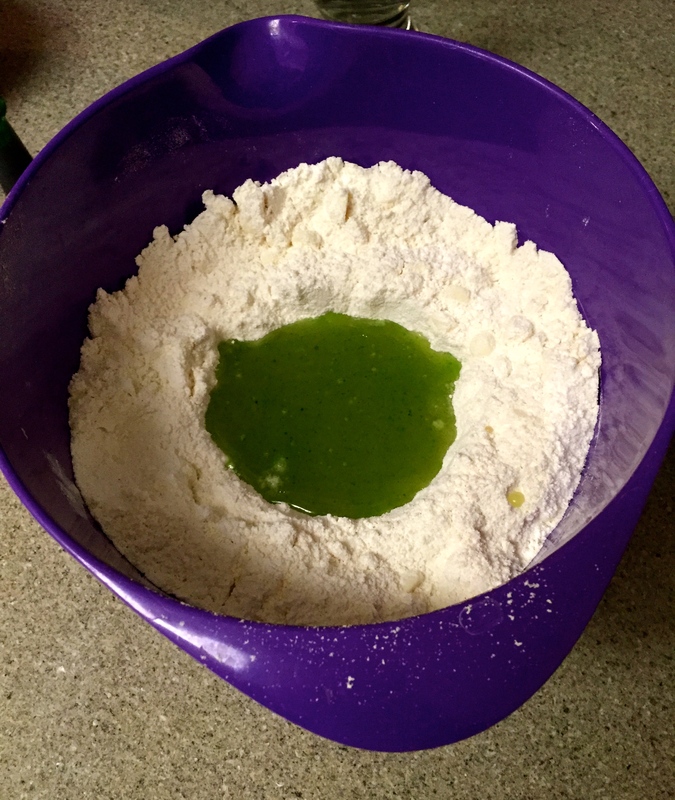 In a separate small bowl, stir wet ingredients, including food coloring until well mixed. 4. 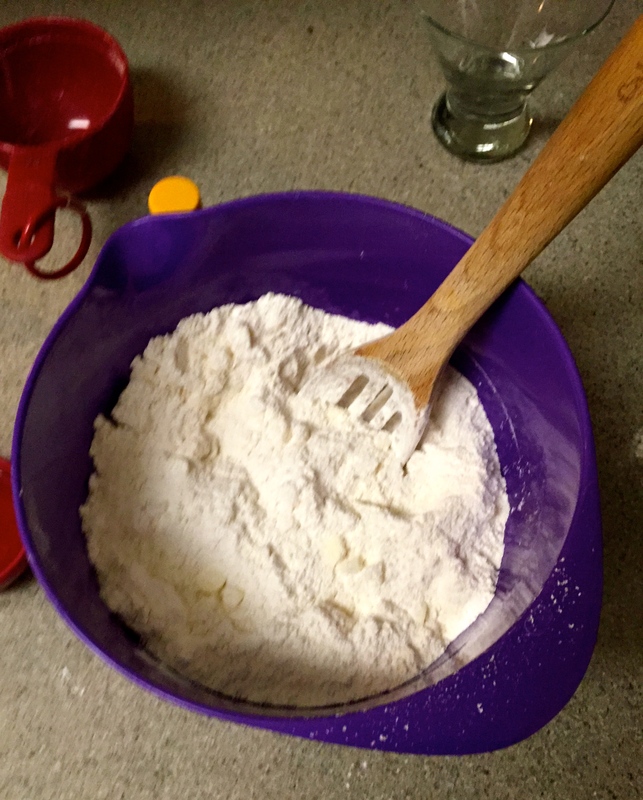 Make a well in the center of dry ingredients and pour in wet ingredients. Combine all ingredients until well mixed. If your mix doesn’t seem moist enough – add 1/4 tsp more of oil. 5. Place tablespoon sized balls of the cookie mix onto a baking sheet and bake for 10- 12 minutes, until golden brown. 6. 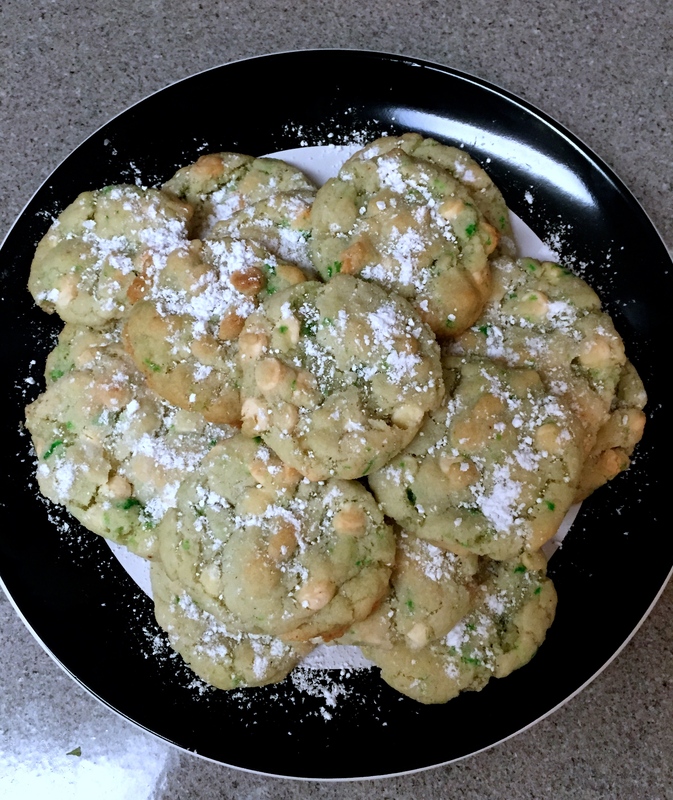 Let cookies cool & then garnish with a sprinkling of powdered sugar for an extra bit of luck this St. Patty’s Day! What’s your favorite St. Patty’s Day treat?